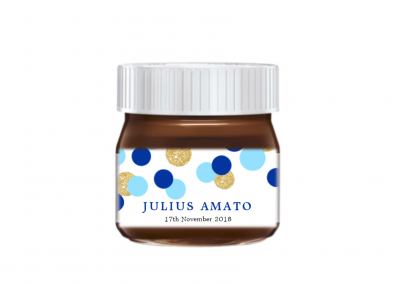 Each jar is personalised with your names, perfect to be used as a bomboniere, favour or thank you gift. 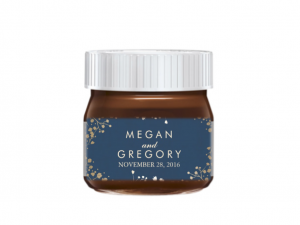 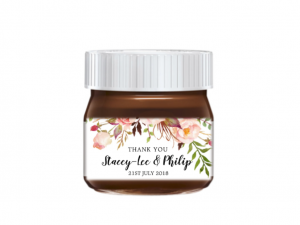 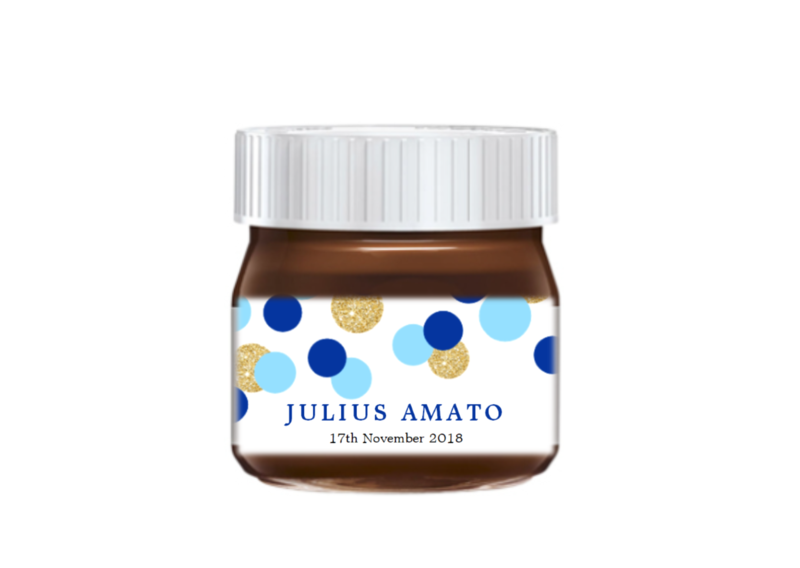 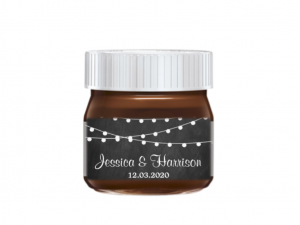 Our personalised mini nutella jars are ever so popular for Weddings, Christenings, First Holy Communion and Confirmation. 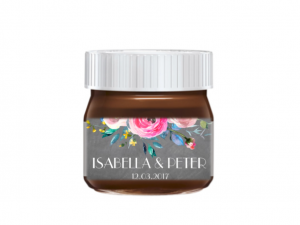 A great addition and show stopper for your next event or function.